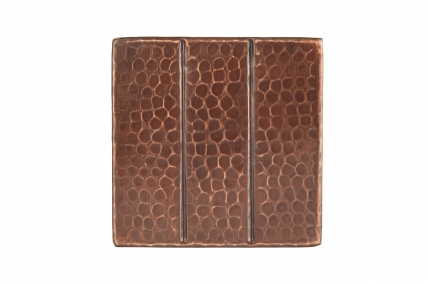 A simple technique of adding two lines makes this tile take on new dimensions. 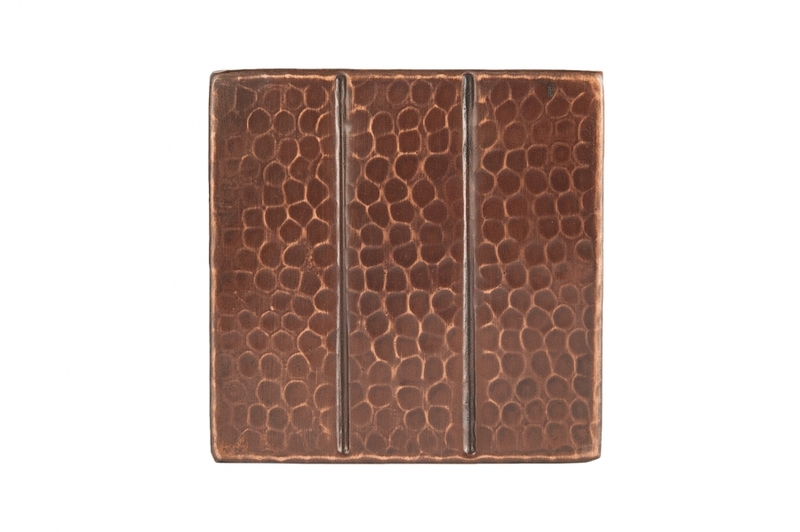 The copper material has a hammered texture that creates an amazing pattern as well to make this a stunning piece. Using these tiles as part of a back splash will add a stunning visual to the space as well as providing useful functionality.